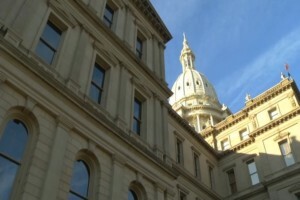 The state of Michigan is no longer asking for job applicants seeking certain occupational licenses to check a box saying they have been convicted of a felony. Gov. Rick Snyder announced Friday that the Dept. of Licensing and Regulatory Affairs has removed the box from occupational and construction code licensing applications. He will sign an executive order directing state departments and agencies to remove the felony question box from applications for state employment. Gov. Snyder is encouraging private employers to follow suit. The box will remain for applications primarily in health care.